Lalit mohan did his schooling from MP Inter College Ramnagar, Nanital and did a Diploma course in Civil Engineering from Nanital Polytechnic, Nanital. In 1981 he started working with Rural Works Department as an Executive Engineer and in 2017 he retired from Rural Works Department. 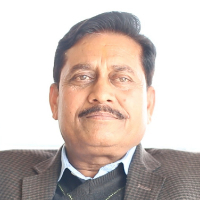 "After doing my Diploma in Civil Engineering, in 1981, I started working with Rural Works Department as an Executive Engineer and in 2017 I retired from Rural Works Department."